The biggest time waster in every company is moving data between apps and updating records manually. But there's an easy solution: automate the boring stuff with Zapier, a service that lets your apps talk to each other. ActiveCollab is now integrated with Zapier. ActiveCollab is now integrated with Zapier, which means you can integrate ActiveCollab with other apps you use and automate work. You no longer have to wait for the official integration or use your developers' time - now you can do it yourself. When something happens in one app, something can happen in ActiveCollab (and vice versa). Let's say you have to arrange a meeting. First, you need to add an event in Google Calendar. Then, you need to create a task in ActiveCollab so you can track time for the meeting (and later bill your client). Tip: you can connect ActiveCollab with ActiveCollab; for example, when a new project is created, invite a user to the project. This can save you a lot of time. Bug catching: when a customer finds a bug and fills out a form using Google Forms, create a task in ActiveCollab for developers to work on. Reporting: gather data from all sorts of apps and record them into a Google spreadsheet. Then you can use one master data source instead of searching for information in multiple apps. Sales leads: when a potential client fills out a lead generation form, create a new task in "New Leads" task list; then, automatically email them asking for more information; when they fill it out, move the task to the "Ready to Contact" task list (which your sales agent go through). Presentation scheduling: when a customer requests a presentation in YouCanBookMe, create a task, email the assignee, and add an event in a calendar. Saving chat transcripts: when a LiveChat is finished, save the transcript in a task for archive purposes. Managing job applications: when a job applicant fills out a form, create a task in HR project with their name as task name, cover letter as task's description, and a link to their CV; then, when you move the task to "Interview" task list, send an email asking them if they’re available; if you move them to the "Rejection" task list, automatically send a rejection letter. Tracking work progress: when someone completes a task, post a message in Slack. With Zapier, you can control with more precision what kind of notifications you want to receive in Slack. File management: when a new task is created with attachments, save them in a special folder in Dropbox. Github issue management: when someone raises an issue in Github, create a task in ActiveCollab; when it’s completed, close the issue. Project management: when there's a new folder in a Dropbox folder from some client or a new note in Evernote, create a new project or a task. Time logging: create a time record in ActiveCollab or add a time log in Harvest whenever you send an email to a client. Client management: when there's a new company in Pipedrive or some other CRM, create a new company in ActiveCollab and issue them an invoice. Customer support: create a task when there's a new ticket in help desk software such as Zendesk or Helpscout. Automation comes with a price, so you have to calculate whether the time Zapier saves you is worth paying for their service. Zapier has a free plan and multiple levels of paid plans. The free plan lets you create 5 different zaps that can happen 100 times per month (all together). You also can't chain more zaps together and can't use Premium apps. 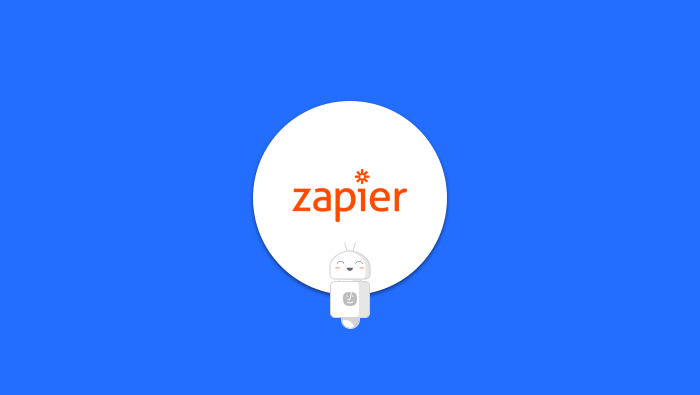 Cheapest paid plan is $20/month and it lets you have 20 zaps with 3,000 occurrences; you can also chain zaps together and you have access to every app Zapier supports. The most expensive paid plan is $125/month, and it's more suited for big companies that need multi-user access. It lets you share zaps with your team, have separate personal and team zaps, and control who can edit zaps. You can have 125 zaps which can occur 50,000 times per month, plus zaps happen closer to real-time (meaning, you'll have to wait 5 minutes for a zap to happen as opposed to other plans' default 15 minutes). ActiveCollab has some built-in integrations that let you automate the essential stuff. These add-ons are free and don't have any limit on how much times you can use them. Slack integration: automatically push a message in Slack whenever something happens on projects in ActiveCollab. QuickBooks/Xero integration: create and manage invoices in QuickBooks or Xero using time records and expenses you tracked in ActiveCollab. Calendar integration: see ActiveCollab tasks and projects in your favorite calendar app (like Mac or Google Calendar). Invoice reminders: let ActiveCollab send overdue reminders for unpaid invoices. There is another automation option that doesn't require Zapier: build it yourself (in which case, you need programming experience). Plenty of ActiveCollab users created their own automation using ActiveCollab API and webhooks. This takes a bit more time and expertise, but it's more reliable than using other services (even if they're as professional as Zapier). If you need any help with our API, we constantly monitor StackOverflow so feel free to ask us there by using the #ActiveCollab hashtag.